The American Hospital Association has signed on as a partner to the U.S. Department of Health and Human Services, Health Resources and Services Administrations (HRSA) Workplace Partnership for Life (WPFL) campaign, a donor registration campaign. The American Hospital Association and Donate Life America, a 501(c)3 nonprofit alliance of national organizations dedicated to saving and healing lives through organ, eye and tissue donation, want to thank all of our hospital partners and their staff for the vital role they play in donation and transplantation. Hospitals not only facilitate the medical procedures, but are a trusted source of information about donation. Currently more than 119,000 men, women and children in the U.S. are awaiting organ transplants to save their lives. Thousands more are in need of tissue and cornea transplants to restore their mobility and sight. Registering to be an organ, eye and tissue donor can provide hope to those who wait. 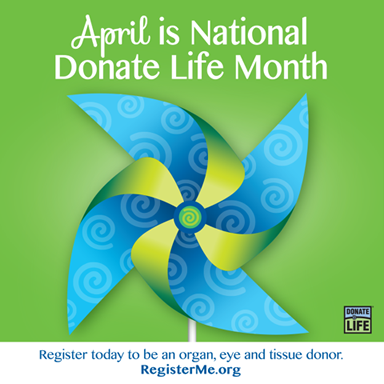 To register as a donor, visit the National Donate Life Registry at www.RegisterMe.org. Together…. WE Can Make LIFE Possible! The American Hospital Association has signed on as a partner to the U.S. Department of Health and Human Services, Health Resources and Services Administration's (HRSA) Workplace Partnership for Life (WPFL) campaign, a donor registration campaign. As a national partner, AHA is sharing information and encouraging hospitals across the country to join in this important effort and help increase donor registration within their facilities and local communities. 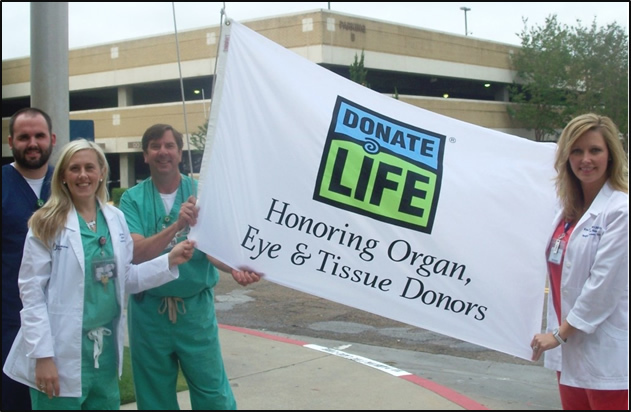 Hospitals and health systems have the unique ability to educate patients, visitors, members of the community, and their own staff and caregivers about the importance of signing up to become an organ and tissue donor. WPFL is a national initiative that joins the U.S. Department of Health and Human Services with the donation community to spread the word about the importance of organ, eye, tissue, blood and bone marrow donation and to encourage the American public to register as donors. Visit www.organdonor.gov to learn more about this campaign, sign up to be a hospital partner or to download additional materials.